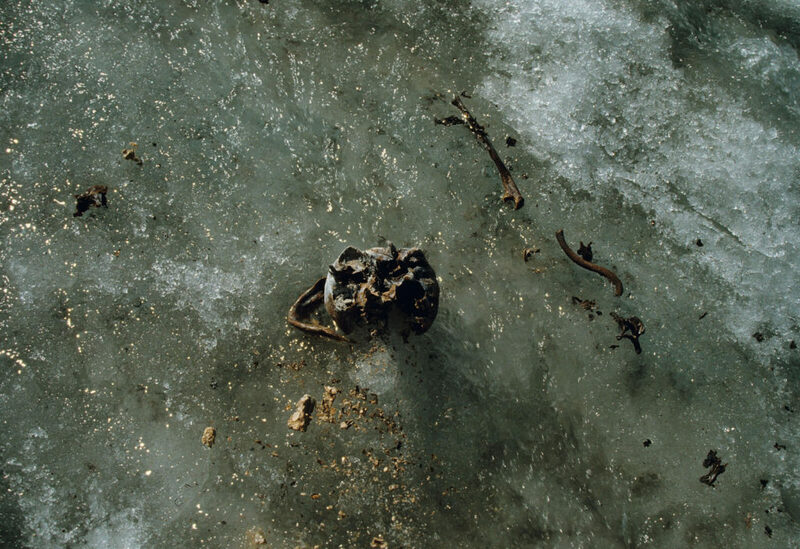 Ice mummies are possibly the most interesting finds from the ice. The most common question glacier archaeologists get is “What would you most like to find?” So, let us admit it: We glacier archaeologists would all like to find an ice mummy like Ötzi. There is so much information to be gained from such a find. Ötzi has seen extensive analysis and scientific publications. If you want to learn more about Ötzi, a good place to start is the webpage of the archaeological museum in Bolzano. A number of documentaries on Ötzi have also been made. Since it was not realized that Ötzi was a very old ice mummy when discovered, the recovery of his body took place under less than ideal conditions. In Oppland, we have prepared a mummy-kit and a contingency plan if an ice mummy should appear. However, the reality is that human bodies do not survive well inside the ice, and Ötzi really is the odd one out. Therefore, our mummy-kit is still unused. A soldier from the “White war” in South Tyrol during world war one. Photo: Trento Office for Archaeological Finds. Obviously, people died in the high mountains in the past – in blizzards, accidents, due to violence, or for purely natural reasons. However, it would take a number of preconditions for their bodies to be preserved until today. First, the body would have to be lost, so that relatives were unable to recover it for proper burial. Secondly, the death would have to take place on ice that was not moving then or later, to avoid being crushed. Thirdly, the body would have had to stay on the surface for an initial freeze-drying before being encapsulated in the ice. This last serendipitous condition was what preserved Ötzi for posterity. 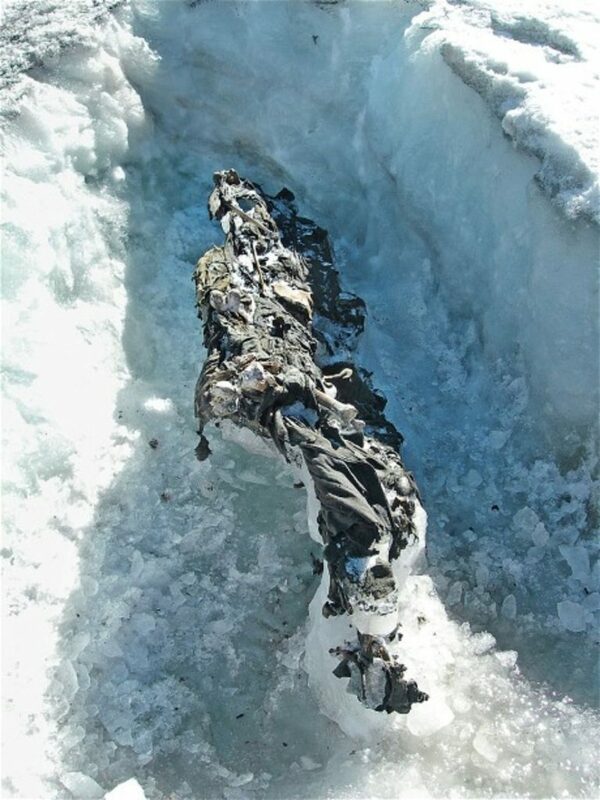 Without this initial freeze-drying, the decomposition of the body would continue even in the ice, as demonstrated by the pictures of WWI soldiers found in the high alpine battlefields of Süd-Tyrol. There has been a number of international stories in the media on these soldiers, e.g. in National Geographic and Motherboard. The find spot for Kwäday Dän Ts’inchi. Photo: Al Mackie. From Canada there is a find of human skeletal remains on a glacier which gained considerable media interest in the wake of Ötzi, the so called Kwäday Dän Ts’ìnchi. He was found in 1999 and subsequent radiocarbon dates show him to have died sometime between AD 1450 and 1700. Glacial finds of similar age are also known from mountain passes in the Swiss Alps, or more precisely the Porchabella glacier and from the Theodul pass. However, these are skeletons, not ice mummies. 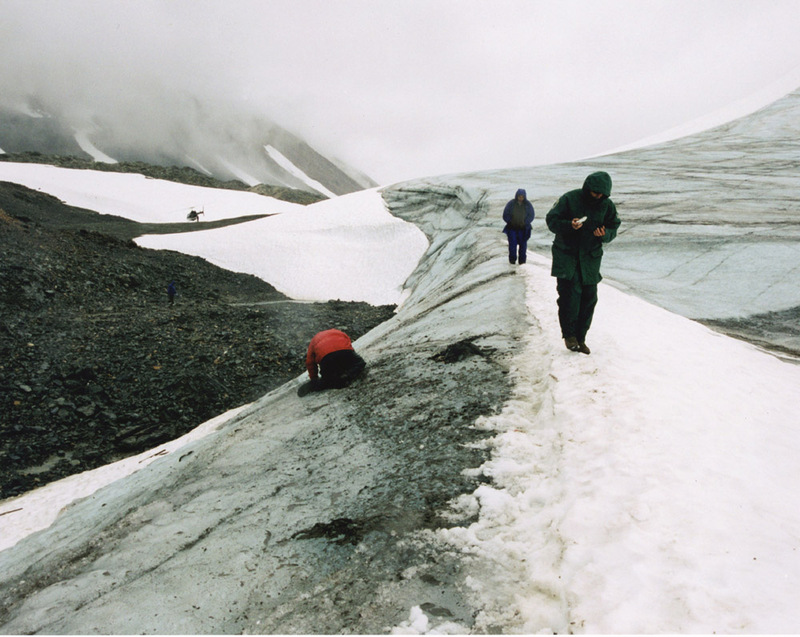 Frozen human bodies are also found outside glaciers and ice patches. The tombs in the permafrost of the Altay Mountains are world famous, as are the sacrificed Inca children from mountaintops in the Andes. A more recent example is the investigation of three 19th century graves in permafrost of seamen from the ill-fated Franklin expedition in the Canadian arctic. Lost mountaineers, who disappeared while climbing and are now melting out, are the most recent examples of ice mummies.